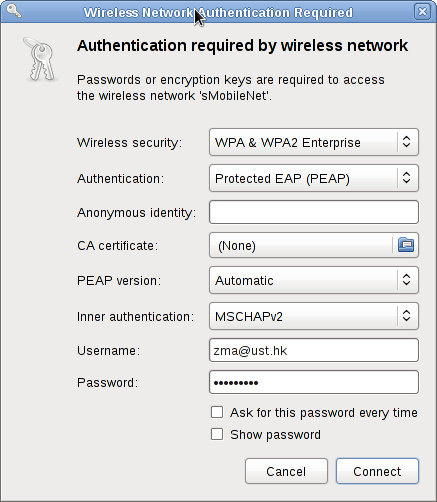 How to configure NetworkManager to connect to sMobileNet in HKUST is introduced in this post. It works on most of systems that uses NetworkManager. Jan. 16, 2011. It works in Fedora 14. Update image. Jun. 29, 2010. It works on Fedora 12 and other systems. The larger version of the image.